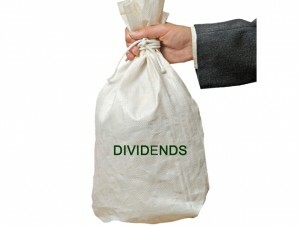 For many investors — especially those living in retirement — dividend stocks are an absolute must. While you can’t live without the income those dividends provide, it’s possible you could live another 30 years in retirement, making capital gains almost as important, given you don’t want to run out of money before you’re gone. To ensure all five dividend stocks are quality companies with reasonable liquidity while providing diversification, I’ve added several criteria to my dividend stock screen, including a dividend yield greater than 1%, a price-to-earnings ratio of 5 or more and average daily volume above 1 million. I also limited my selections to one choice per sector. Here are the five best dividend stocks under $20. These choices should ensure your money outlasts you and not the other way around. If you bought Ford Motor Company (F) at the depths of the market correction in 2009 and still hold it today there’s no denying you’re a happy camper — it has delivered six-fold returns to your portfolio. However, if you don’t own this dividend stock and are wondering if you should pick up this consumer goods megacap on the cheap since it’s down nearly 20% in the past 52 weeks, the answer is an unequivocal yes. Granted, Monday’s news that Ford is exiting the Japanese and Indonesian markets due to an inability to make money there is slightly unsettling. Still, the simple fact is Ford can do better focusing its global ambitions elsewhere. The problem for companies like Ford and General Motors Company (GM) is that young people are getting fewer driver’s licenses, and that translates into selling less cars. But before throwing Ford stock overboard, it’s important to remember that Ford doesn’t necessarily have to sell more cars to be successful. Well, automakers are experimenting with Uber-like services, such as Ford’s Dynamic Shuttle for its Dearborn employees. There are plenty of people in the U.S. who could use this type of service in place of driving to work every day, and Ford’s Transit van is an excellent vehicle to help make this happen. Until it does, you can enjoy the almost 5% dividend yield along with the potential for significant capital appreciation. It might not go back to the mid-$30s where it was in the late ’90s, but climbing past $16 for a solid 33% return plus dividends over the next 12-24 months is entirely possible. In early January, New York-based Okumus Fund Management Ltd. announced that it had bought an 8.8% stake in The Carlyle Group LP (CG), the alternative asset manager whose stock dropped 45% in 2015. Okumus committed one-fifth of its $550 million fund to the private equity firm. Not to mention it’s currently yielding almost 17% from its trailing 12-month dividend of $2.24, one of the best dividends in the financial sector. Be forewarned, however, that there’s a good chance the dividend payout in 2016 could be scaled back. Stocks in the services sector have been hit relatively hard by the latest correction in the markets and that’s got American Eagle Outfitters (AEO) down more than 3% year-to-date through January 22. The damage could have been worse. However, the markets have reacted favorably to some of its recent moves, including putting interim CEO Jay Schottenstein in the top job permanently as well as buying as buying a couple of up-and-coming brands — Tailgate Clothing Company and Todd Snyder New York — to go along with its very popular Aerie brand. Investors can expect AEO to keep increasing its dividend in the quarters to come as these new brands contribute to the firm’s top and bottom line. In November, CEO Meg Whitman split HP Inc. (HPQ) into two companies with the former head of eBay Inc (EBAY) taking the helm of its corporate computing business, Hewlett Packard Enterprise Co (HPE). Currently, the technology stock is yielding 1.7%. Appearing on CNBC last week, Whitman was very enthusiastic about its business around the world and although frustrated by what’s happening in the markets — down about 15% since its spinoff — she sees good times ahead for its enterprise business. With just 11 dividend stocks in the technology sector meeting the screening criteria, HPE is a good choice. Currently, Diamond Offshore Drilling Inc (DO) sits 54% below its 52-week high of $37.56. Citigroup analyst Mukhtar Garadaghi is so negative about offshore drillers such as DO and Transocean LTD (RIG) that the structural change these firms are undergoing at the moment suggests deep water drilling’s best days are behind it. But what happens if Citigroup is wrong? What if oil prices shoot through the roof over the next two to three years? Where does that leave offshore drillers? In a much better position than today I would guess. That’s a big “if” to be sure. The safer play: Buy Loews Corporation (L) instead. It owns 52% of DO and is known for making contrarian bets that pay off. Currently yielding 0.7%, it’s not quite at the 1% cutoff, but should DO continue to suffer a painful demise, owning its stock through the backdoor is definitely the wiser move. As of this writing, Will Ashworth did not own a position in any of the aforementioned securities. Article printed from InvestorPlace Media, https://investorplace.com/2016/01/best-dividend-stocks-f-aeo-cg-hpe-do/.